After finally (*FINALLY*) winning a much-deserved Emmy for The People vs. OJ Simpson, Sarah Paulson also received some much deserved praise from girlfriend Holland Taylor. And it is quite literally too cute to handle. Beware, the following is not for the faint of heart. It’s THAT sweet. Clearly, Holland Taylor was dying of anticipation from the get-go. We also love how much she loves Sarah Paulson. So cuuuuuuute. And cheering her lady on throughout. 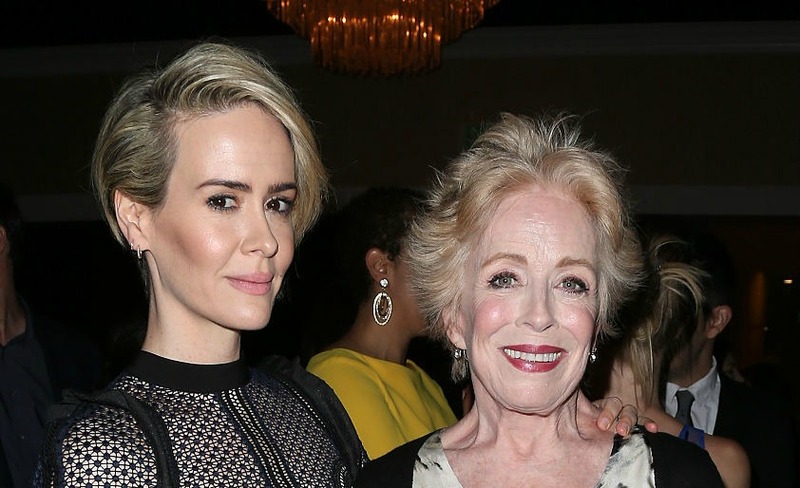 Holland Taylor’s reaction to Sarah Paulson’s win was so simple, sweet, and PERFECT. She’s just like ‘there it is.’ Like, of course. Like she expected Sarah Paulson to win all along. And then the tweet we can all relate to — we’re swooning too, but mostly because Holland Taylor and Sarah Paulson are so clearly #relationshipgoals.